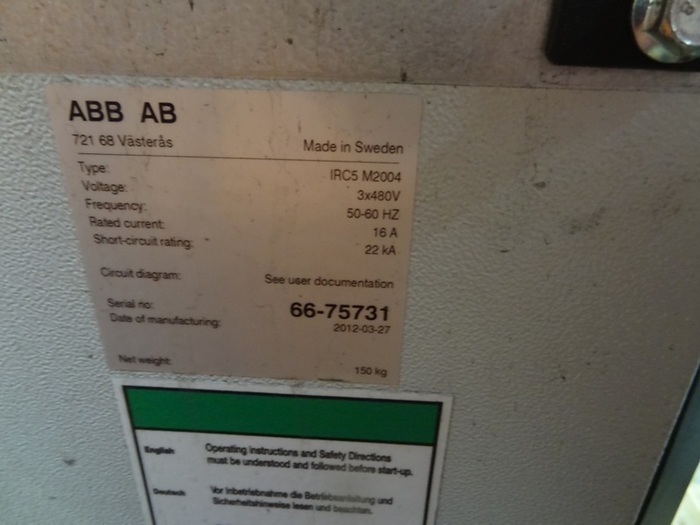 If you are looking to decrease your maintenance costs and improve path performance, then the ABB IRB 6640-205 IRC5 is ready to do the job! 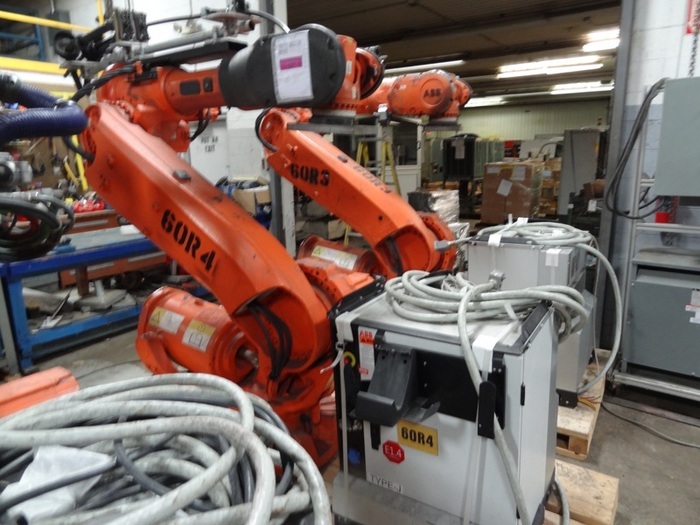 Whether it is material handling, machine tending, or spot welding, the IRB 6640-205 will fit into your dense production line without any fear of collisions. It uses its advanced software programs, TrueMove and Quick Move, to produce extreme collision avoidance, reduce the risk of overload, and increase the precision of its path performance. The need for a customized system is easy to develop with the upper arm extenders and different wrist modules that are available. 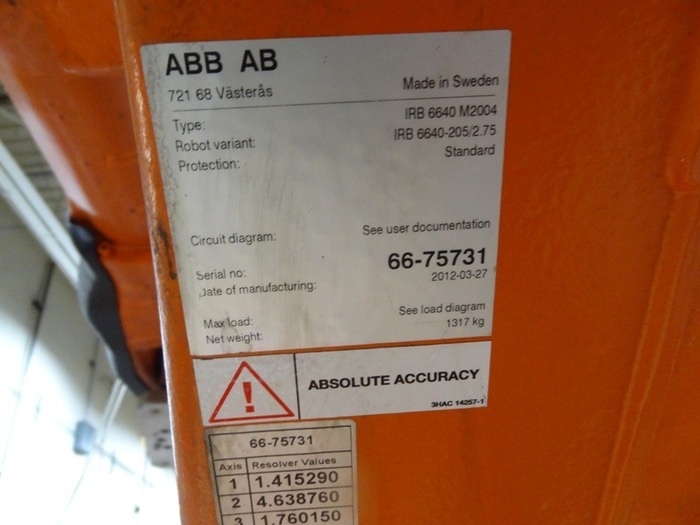 Also, safety is taken care of with features such as as load identification, movable mechanical stops, electronic positions switches (EPS), and a stiff steel structure. The IRB 6640-205 is ready to save you money and tackle your next application.